Home / Blog / How can practice aids improve your game on the course? Many golfers assume that the only way to improve their game is to visit the course more often, but it’s also true that you can work on your game easily away from your club – you just need the right practice aids. There is a very broad variety of aids available allowing you to train virtually any aspect of your game. But which ones will help you get the most out of your practice time at home? Whether you are looking to drive the ball with greater consistency or you just need to up your putting game, there is a practice aid to suit you. 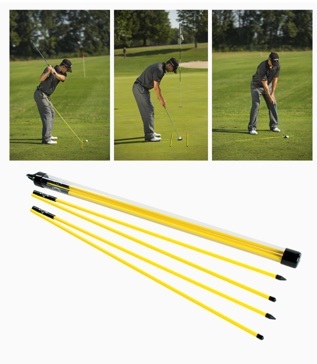 Here are three fantastic items that will make a big difference to your game on the course. Sometimes it is the simplest practice aids that make the biggest difference to your overall game. The Callaway Alignment Sticks can be set up in multiple configurations and allow you to work on the alignment of your shot. Effectively the sticks provide you with a guide to train your correct swing path, which can be a crucial element to hitting higher quality shots out on the course. Whether driving or chipping, having a more consistent swing path and shot alignment will reduce your handicap. And alignment is something that you can work on without a ball anywhere with enough space to swing a club. If you are looking to get in practice away from the course that will pay dividends on your game, one of the easiest skills to develop is that of putting. Putting can be an afterthought for some golfers who believe that their short game requires the least practice as it is they are simplest and shortest shots to play. 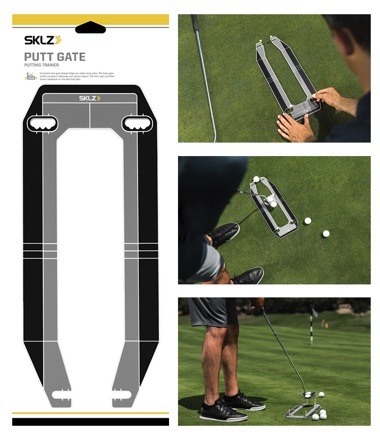 But bad putting can really let you down on the course if you are able to finish properly, so it’s worth investing in a practice aid like the SKLZ Putt Gate. This gate allows you to learn to putt consistently, reinforcing a square club face and a stroke that hits the sweet spot. But most importantly, it develops your muscle memory. Of course if you want to really develop your putting there are plenty of different options for practice aids to choose from. Another great one is the Eyeline Golf Groove Putting Laser which works by giving you a fantastic visual guide as to where the ball will end up after the strike. Getting used to the right line that you need to use is essential. 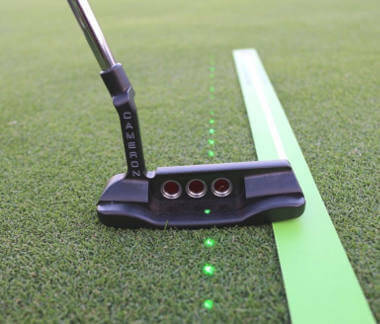 When you get out on the course the next time without your laser, you will hold a naturally better understand of where the ball will go after the putt. You will find that it makes a real difference especially if you put in the practice time at home.